Zecco started out as an online broker that didn’t charge a commission on trades, but this business model became unsustainable for the company and Zecco adopted a more traditional commission-based model. You still get 10 trades for free per month though. 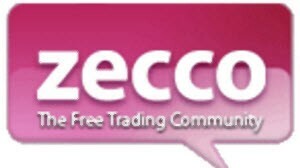 Zecco’s original idea was to maintain the brokerage business off ancillary income and create revenue through its social network. They charged account fees, charged interest on margins, and derived income from advertising, but it was never enough to really get the business off the ground. One of the problems was that the blogs and forums did not become popular enough to bring in enough money from adds. Today, Zecco is still struggling with the transition from groundbreaking pioneer to being just another online broker. The platform is cluttered with adds and other calls to action, which makes it tricky to navigate. Traders might still put up with this if they could trade a lot for free, but now when that possibility has been limited, the platform is in dire need of a major overhaul to retain users. Zecco is also suffering from a (well-deserved) reputation of being technically undependable. There has been a lot of breakdowns, lock outs and crashes. Zecco does not provide any valuable market research or trading tools. You can make 10 free trades per month. After that, you pay $4.50 per trade. When it comes to customer service, Zecco do provide a lot of answers to common questions on their blogs and in their forums, but if you fail to find an answer there you have to settle for some pretty mediocre customer service. Even finding the contact information on Zecco’s cluttered site can be quite the chore. The customer support can be reached by phone or email. Long waits are a common problem.